What is it? A massive action-packed sequel to Marvel’s Avengers that also takes into account the events that follow on from the latest post-Avengers Iron Man, Thor and Captain America films. 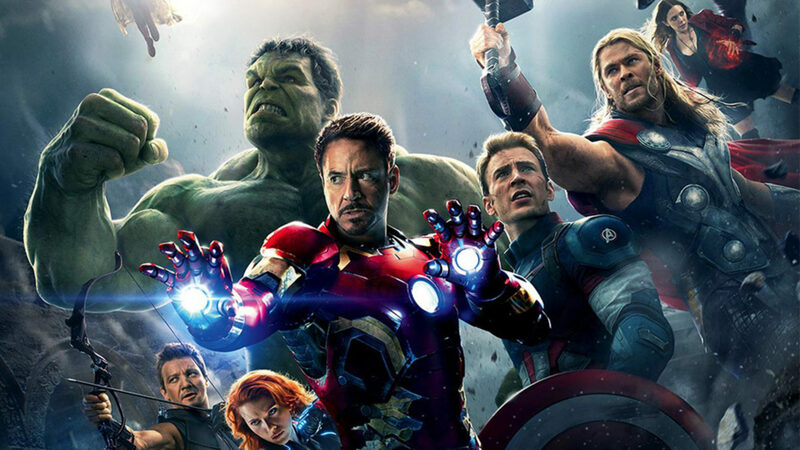 Avengers: Age of Ultron is Marvel’s way of telling us yet again that they are far from their peak. While a lot of the first film was bright and comical, Age of Ultron keeps this franchise minty-fresh by dropping a gear and heading us into slightly darker territory, also leaning heavily into the fully realised universe that they have crafted throughout their previous films. That’s not to say it’s not still packed with crazy fun and unbelievably sharp dialogue, because it is, but this now feels a little less “cartoon” and little more “comic book” in tone. The Avengers are still hard at work trying to track down Loki’s staff to return it to safety, and all seems to be going well but then soon goes to hell when Stark’s attempt at a global security A.I gets some life breathed into it and it develops some ideas of its own. The action is huge and plentiful and the film contains 4-5 separate sequences that would each hold up as some other films’ entire big climax and if you are able to experience it in IMAX 3D it’s highly recommended and takes your breath away. The cast/character pool in this film is unbelievable, drawing on many from previous and using them to a great degree, as well as adding on a few more on as they go. No longer are we witnessing a few heroes working together to reach a goal. Now it’s bigger, now they are more than that. Now they truly are The Avengers, and they’ll need to be now that we know where the story is headed. If anything is an issue, it’s that the scope of the universe and the giant pool of characters can make it feel like it’s a little tough to wrap your head around at this point and you may feel that there’s just so much going on a lot of the time that a bit of the franchise’s core strengths are a little diluted. Marvel’s masterful balance between mind-blowing action and quiet sincerity however, is once again a display of perfection in film pacing, keeping you fully engaged but never tired and will have you planning your next viewing even before the first one was over. We’ve been left stumbling to try and find many or any faults with it, but Marvel and Joss Whedon have made it very tough with this exciting cinematic experience. Cast Robert Downey Jr., Chris Hemsworth, Mark Ruffalo, Chris Evans, Scarlett Johansson, Jeremy Renner, Don Cheadle, Aaron Taylor-Johnson, Elizabeth Olsen, Paul Bettany, Cobie Smulders, Anthony Mackie, Hayley Atwell, Idris Elba, Stellan Skarsgård, James Spader, and Samuel L. Jackson.